Need help paying for groceries? They can be so expensive. 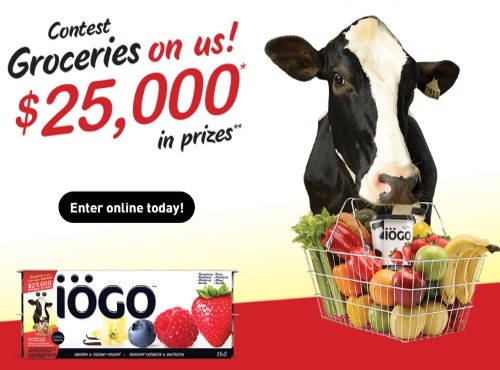 Iogo is giving out $25,000 in prizes for groceries in this latest contest! There is an in-store tour of 40x $500 grocery gift cards and online contest (enter at the link below) of 10x $500 grocery gift cards! Contest closes November 6, 2016.